Little village of Bibury on riverside Elwy. Cotswold near Cicester. 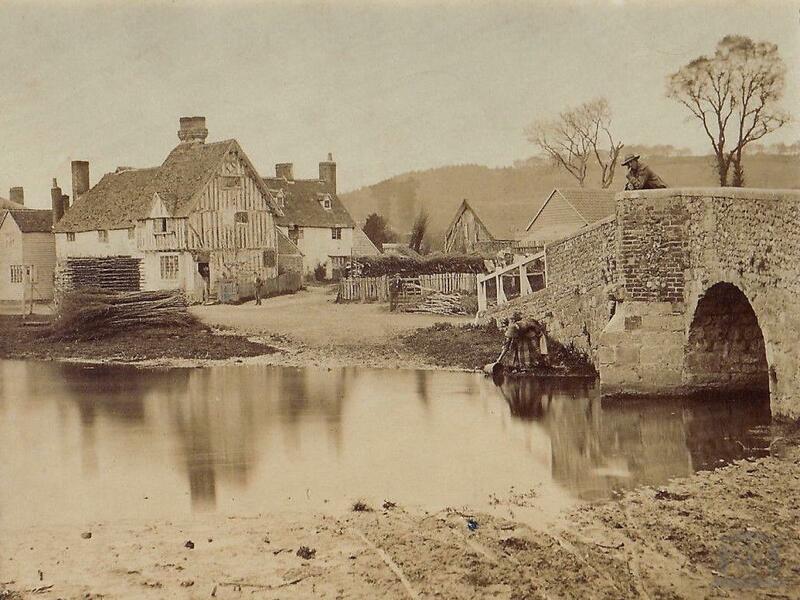 Stunning foto in subject and detail with little river, cottage villa's, washing woman and fisherman. Foto Francis Bedford . Bedford was the son of the successful church architect Francis Octavius Bedford. He was christened at St Giles in Camberwell on 11 September 1815. He began his career as an architectural draughtsman and lithographer, before taking up photography in the early 1850s.